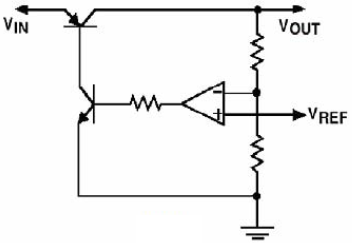 Low drop-out (LDO) regulators are one of the basic building blocks of most power supplies used in today’s electronics. Their ease of use, low cost, and small size makes them ideal in portable and handheld applications. They are available in wide variety of voltage & current levels with their primary function, to provide power to low-voltage digital circuits. The only other necessary components are external capacitances, which, in conjunction with the LDO, create a complete power solution. This application note reviews the effect of these components and their phase shifts on the LDO’s loop stability and show how to tailor the compensation to obtain a stable circuit. This entry was posted on Sunday, September 13th, 2015 at 1:00 pm	and is filed under app notes. You can follow any responses to this entry through the RSS 2.0 feed. You can skip to the end and leave a response. Pinging is currently not allowed. This is valid for older LDO types, which use external compensation and whose datasheets either tells you to (a) use electrolytic or tantalum at the output or (b) keep the output ESR at 0.1-10ohm. Example: LP2951. No point for hobbyists to buy these any more. Most newer LDO parts have some form of internal compensation and can work with zero ESR, for use with SMD ceramic caps with very low ESR. Some don’t even need output capacitance. Another troublesome thing about LDOs are MCUs with integrated LDOs, many Microchip PIC parts (and others) do this, you will find a Vcap pin (or sometimes disguised as Vusb, huh).